The Pandy Inn is the ideal start or end to a walk or hike in the area. There is ample parking behind the pub and even more in front of it. There are public toilets behind the village hall, in case the pub is shut when your walk departs. Visit Herefordshire Trail for more information on some of the walks in the area. Walking maps are also for sale in the pub and at Dorstone’s Front Room, which is situated opposite the pub. We welcome groups of over 10 walkers, cyclists or bikers, please ring us on 01981 550 273 to make a lunch reservation or to discuss your party’s needs. While we we are closed during the week at lunch time, we will happily open for groups of 10 and over if you give us advance warning. We love our dogs and we know you love yours too! This is why dogs (that can vouch for the behaviour of their owners) are more than welcome at The Pandy Inn. All we ask is that they keep their owners to the paved area of the pub. 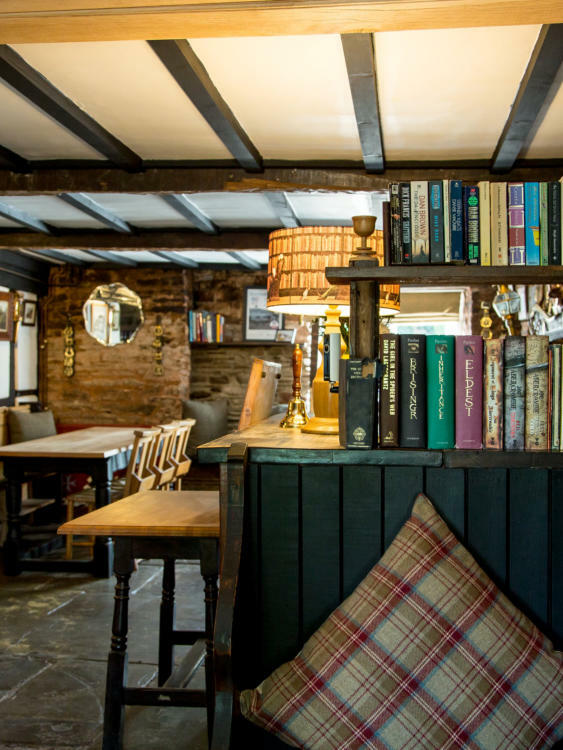 Why not hold your special event in the oldest pub in the county? Our garden, patio and location make The Pandy Inn an ideal place to hold your event. We have had the pleasure to organise events such as milestone birthdays, weddings, christenings and fund raisers at the pub. Please contact James or Lisa to discuss your requirements.